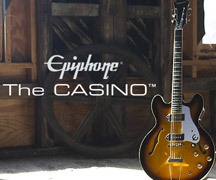 Epiphone and Gibson Brands blazed through the annual SXSW Music Festival in Austin, Texas last week showcasing both classic and new artists with concerts and jam sessions throughout the city. At the start of the music festival on Tuesday, March 12, the Gibson Brands experience at SXSW kicked off with Hail Hail Rock N’ Roll: A Tribute to Chuck Berry. Fans and music enthusiasts packed into the Gibson showroom to view the new Gibson Chuck Berry 1955 ES 350T archtop, the first-ever collaboration with the rock n’ roll pioneer’s family, and enjoyed a performance of Chuck’s classic songs by his son Charles Berry Jr. and his grandsons Charlie Berry III and Jahi Eskridge. The Songbirds Guitar Museum provided a selection of rare vintage Gibsons for visiting artists and fans to view and play, including Chuck Berry’s personal Gibson ES-355. On Wednesday, Gibson President and CEO, James “JC” Curleigh delivered a powerful talk entitled “Now What? Setting the Gibson Stage as the 125-Year-Old Start-up” to a packed industry crowd at the Austin Convention Center. (Thanks to Ryan Vestil for the fab photographs!) During the talk, “JC” reminded the crowd that the collective Gibson family is still the pre-eminent American-made instrument brand and remains dedicated to the core mission of paying homage to its storied history while embracing the next all musicians, regardless of generation, gender, or genre. 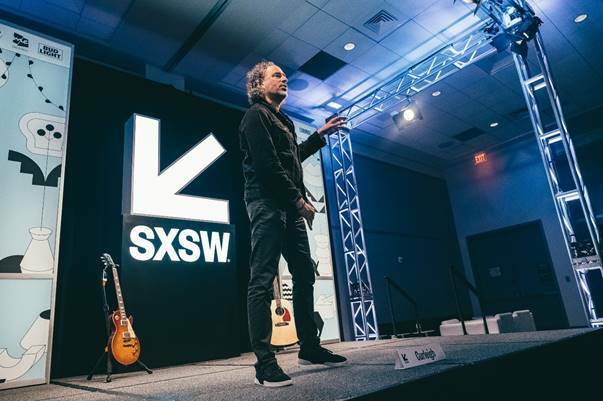 As the guitar of choice for artists in rock, pop, country, blues, folk, and jazz, the Gibson Brands experience was ever-present at all of the hottest SXSW events. iHeartMedia’s kicked the week off with Tim McGraw followed by Willie Nelson and Family’s Farm-Aid benefit dinner and concert. 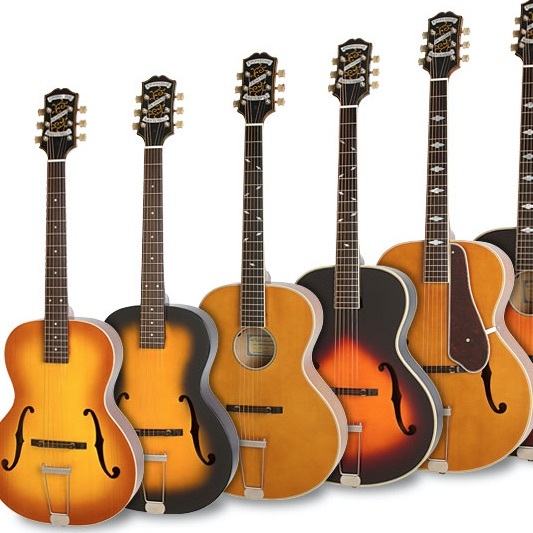 Gibson was the official guitar of Luck Reunion, the multi-stage experience at Willie’s ranch in Luck, Texas which also featured vintage Gibsons as well as a limited-edition Epiphone ukulele. Other events included concerts at Aryln Studios and concerts big and small all over Austin featuring Epiphone and Gibson artists from every genre including, Joan Jett, Shakey Graves, Nathaniel Rateliff, Lukas Nelson & Promise Of The Real, The Marcus King Band, Hayes Carll, Ben Dickey, Liz Brasher, Emily Wolfe, The Vandoliers, Low Cut Connie, Jamie Lin Wilson, Quaker City Nighthawks, Swimming With Bears, Eric Tessmer, Black Pistol Fire, Chris Shiflett, Paul Cauthen, Erika Wennerstrom, Israel Nash, Jonathan Tyler, E.B. The Younger, Tyler Ramsey, Carson McHone, and Brandy Zdan. 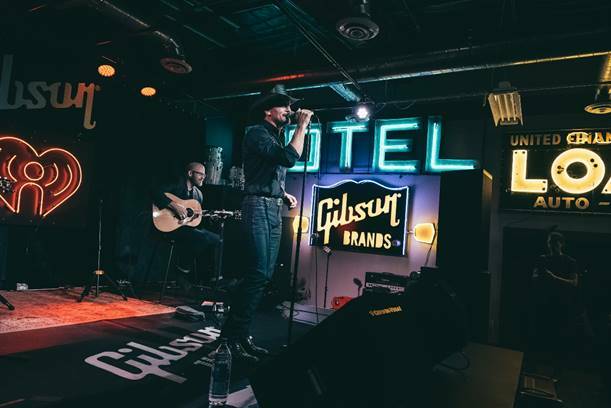 The new era of Gibson Brands has begun! 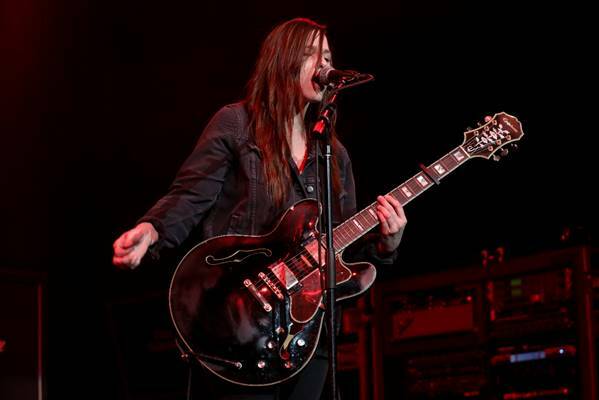 Check out the knock-out performance by our own Emily Wolfe, read our exclusive interview, and look for more great news from Epiphone and all of Gibson Brands soon!